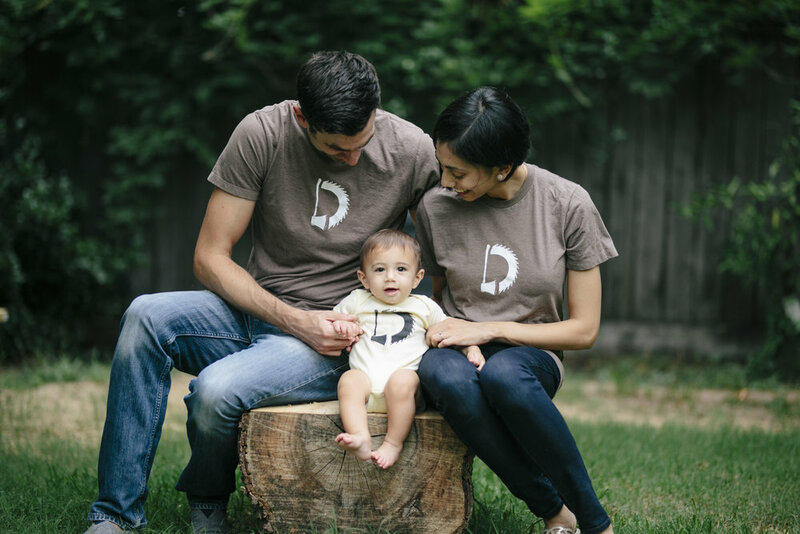 Family photo session from June 2018. 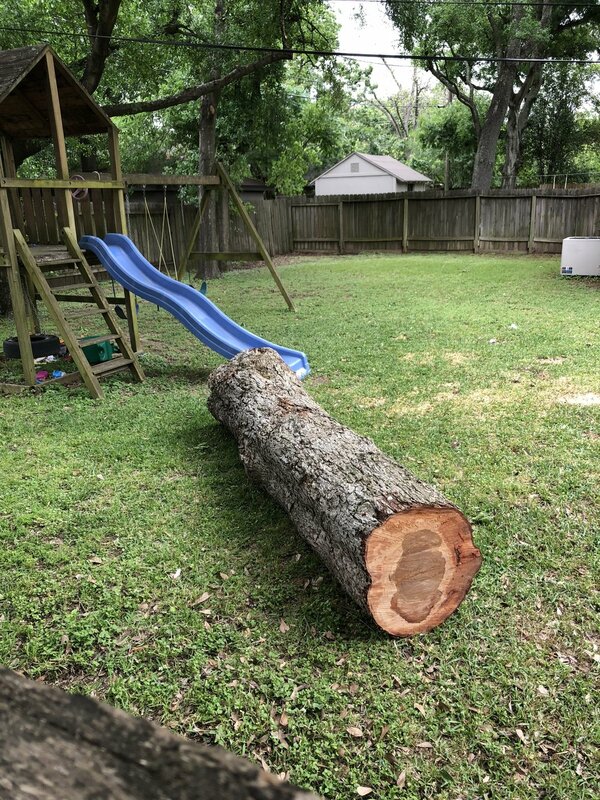 One of our neighbors had a tree that they needed to take down in their backyard. 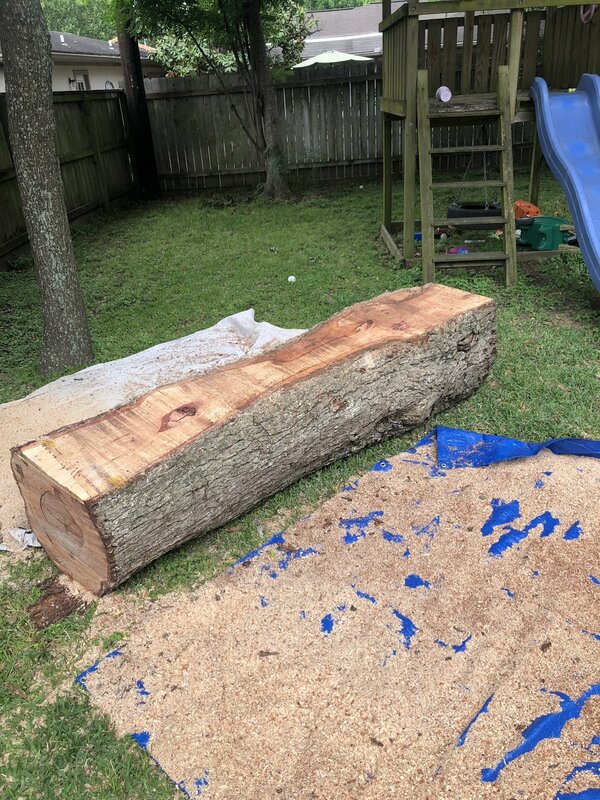 We worked with the tree service guys to salvage a huge Texas Pecan log. Spent a full day milling it and we got some beautiful slabs! When my wife and I were getting married, we wanted a more "rustic" themed wedding reception. One of the ideas we had was to do wood centerpieces, slices of wood, that we would put candles and fact cards on. After pricing what these slices cost (at minimum 10$/slice times 40 tables!) I bought a chainsaw instead and went in search of wood to cut. 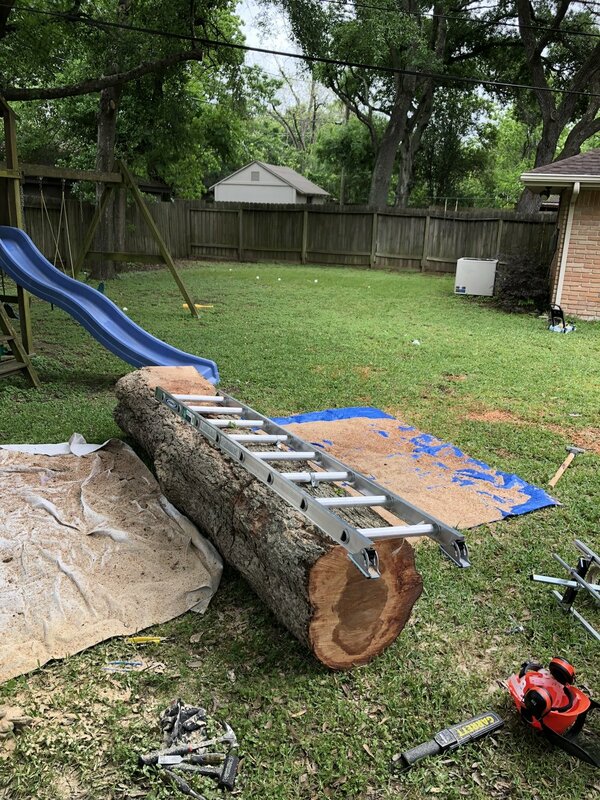 I contacted a local tree removal service and asked them what they did with their wood. They told me, for the most part, they just burned it in a big bonfire a few times a month! I was floored. All that wood going to complete waste! So after some research, I found that there is a big push from organizations like the Urban Wood Network to take "urban wood" and repurpose it, giving it new life after it's been cut down. That is something we strongly believe in at Doctor Lumber. When my wife and I first started dating, she was in medical school. I was working on a dining room table in a workshop I was renting and she came by to see what I was up to and to "help." I asked her if she had ever done any woodworking before and she said "You can just call me Dr. Lumber." Fast forward a few years and the name stuck. Now it's our company name.